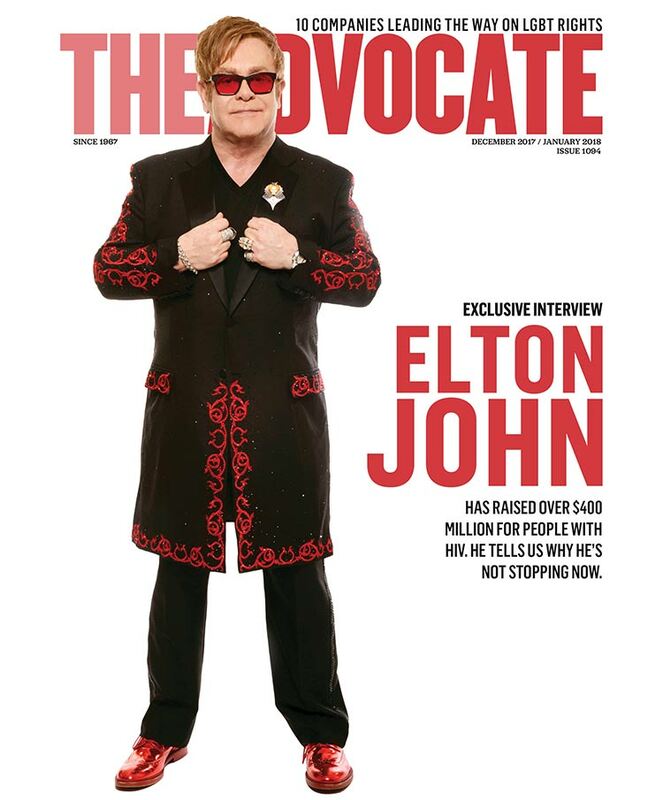 At 25, the Elton John AIDS Foundation is the nation's largest funder of LGBT health programs. The rock star who started it all, his husband (and chairman of the board) David Furnish, and executive director Scott P. Campbell talk to The Advocate about the joys of giving back. Something happened to Elton John that week in the Ukraine. 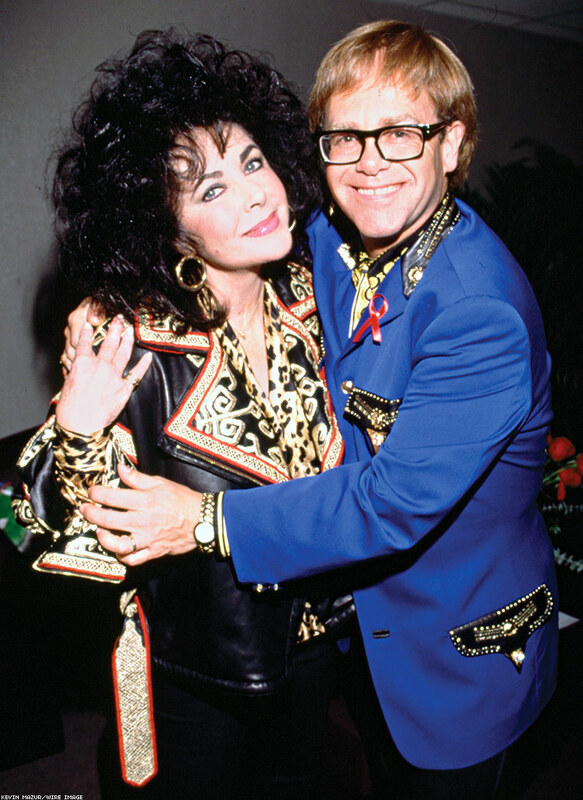 It was 2009, and he’d been there before, of course, with his husband, David Furnish, as part of the Elton John AIDS Foundation’s efforts to raise awareness about HIV and AIDS. The Ukraine has one of the fastest rising HIV rates in Europe, and John had given a free concert for tens of thousands in Kiev’s main square. But this day they were at an orphanage near Donetsk, an industrial city in Ukraine. He performed his hit Lion King song “Circle of Life” for the kids, most of whose parents had died of AIDS complications — some were also HIV-positive themselves. As Furnish was bouncing a toddler named Lev Ageyeva on his lap, a reporter asked John if he’d ever want to adopt a child. His husband had long talked of adoption, but at 62, John was still traveling and performing as much as ever. Charity work took them around the globe and John loved their life. He wasn’t sure he’d want it to change. But watching Furnish with Lev — and with the recent death of his longtime keyboardist, Guy Babylon, fresh on his mind — something changed. He changed. And he desperately wanted to give Lev a home. Sadly, their adoption attempt was denied because the country’s laws essentially deemed them too old and too gay to parent the orphan. “Both Elton and I were absolutely heartbroken that we weren’t able to adopt Lev,” says Furnish. However, the couple stayed in touch with Lev and continued to support him financially, and John is credited with helping the child and his grandmother move out of the city when pro-Russian thugs waged war there years later. In turn, Furnish credits Lev with being “a turning point in our lives. Lev completely captured Elton’s heart and changed his mind [about parenting]. After meeting Lev, Elton agreed that we should have a child.” Since then they’ve welcomed Zachary (now 7) and Elijah (now 4) into their lives. “Lev gave us a precious, precious gift: fatherhood,” Furnish admits.